AAV BARBINI srl is a creative workshop, established in Murano in 1927 by Nicolò Barbini. 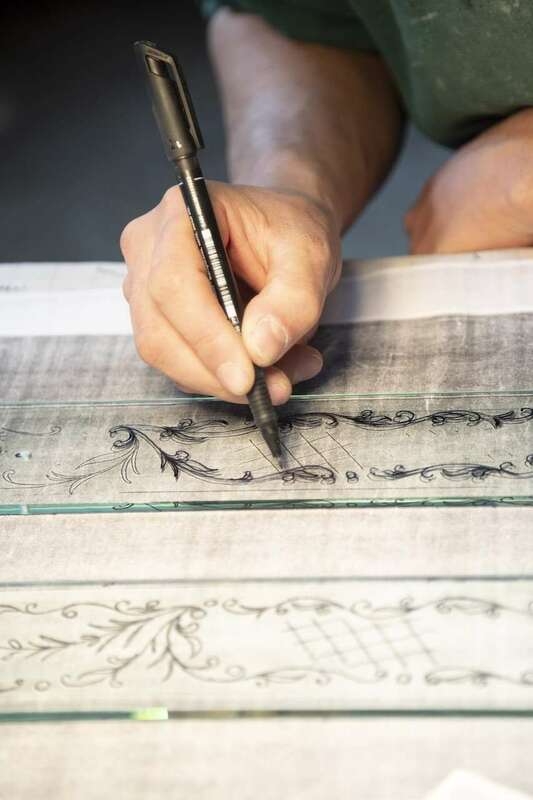 It specializes in the art of glass engraving and the production of antique and modern Venetian mirrors, as well as the restoration of antique mirrors. Nicolò passed down to his sons Vincenzo and Giovanni his artistic sensibility and immense professional experience, helping them to understand and perfect the secrets of the trade and the different techniques. The company, which boasts a glorious family tradition in the field of glass dating back to the seventeenth century, currently has three generations of artisans who are experts in this exclusive technique. Their expertise was acquired thanks to their great passion, profound historic knowledge and extensive professional experience. 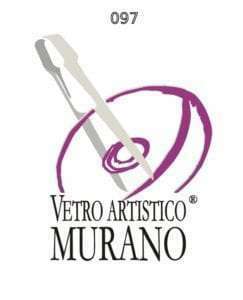 All of the development phases (the project, the cutting, the bevelling, the engraving, the silvering and the assembly) take place exclusively on the island of Murano and are personally overseen by the brothers Vincenzo and Giovanni Barbini and by their respective sons Nicola, Marco and Matteo, Andrea, Pietro and Filippo, who are able to constantly reinterpret this inestimable wealth of techniques and secrets. Today, the mirrors made by the Barbini family can be found all over the world, from India to the royal palace of Thailand, to Japan, where in the 1970s they were hugely popular and were used to decorate the walls of the most exclusive palaces, to the USA, Russia, China, France, Germany, Iran, Morocco and among the sheikdoms of Saudi Arabia and Kuwait, as well as the most renowned local showrooms. Furthermore, Barbini has always lent its own experience and professionalism to architects, designers and artists, helping them to realise ideas and projects. 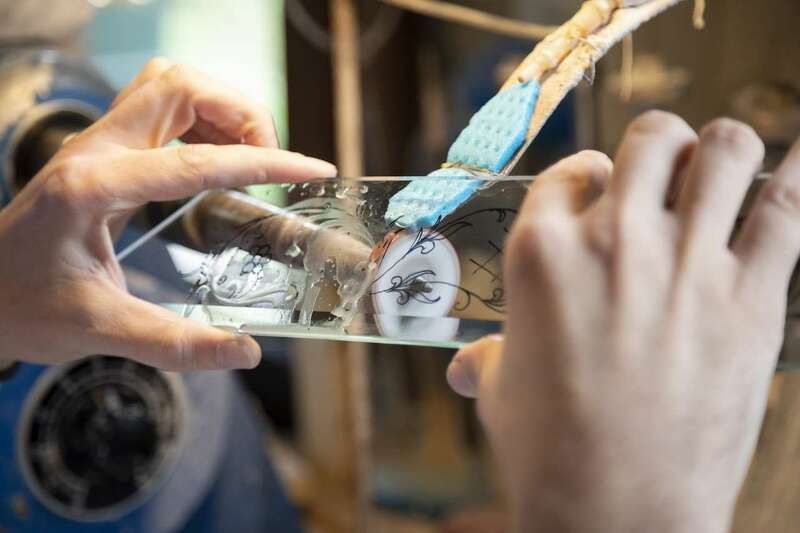 Since 2018, the Barbini family’s company has been a member of the Consorzio Promovetro, an institution which supports and spreads the culture of Murano glass all over the world, The company benefits from the Murano certification mark, the only official certification mark recognised by the Veneto regional government which guarantees the authenticity of glass ‘made on Murano’. An elegant collection of mirrors that, in the strictness of the lines, re-proposes, as if in a frame, the precision of the paintings of the great Venetian vedutist. 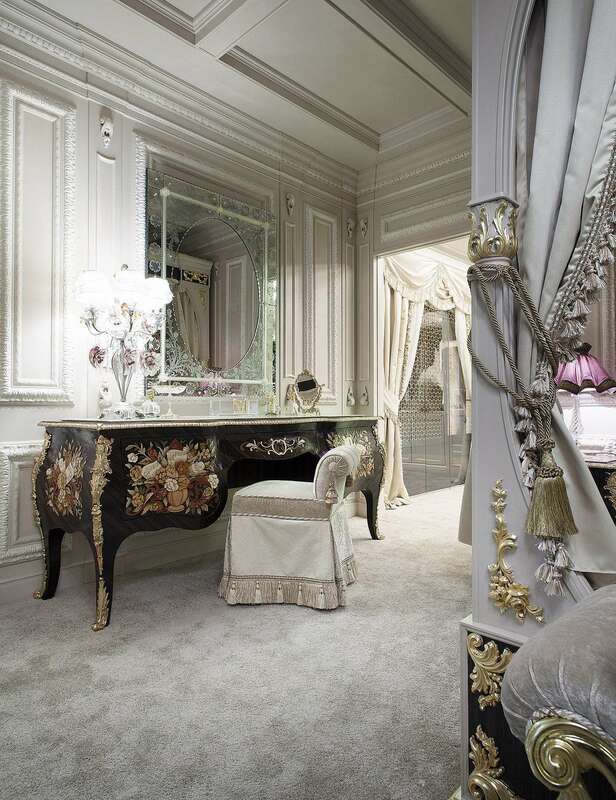 Luxurious mirrors that evoke the lavish taste and ostentatious wealth of the Venice of the ‘600 and’ 700. Variegated proposal of table mirrors and frames in Murano glass executed with the inspiration and variety that makes them always different and therefore pleasant pieces that evoke the inspiration and unpredictability of the great Venetian adventurer, poet and philosopher. 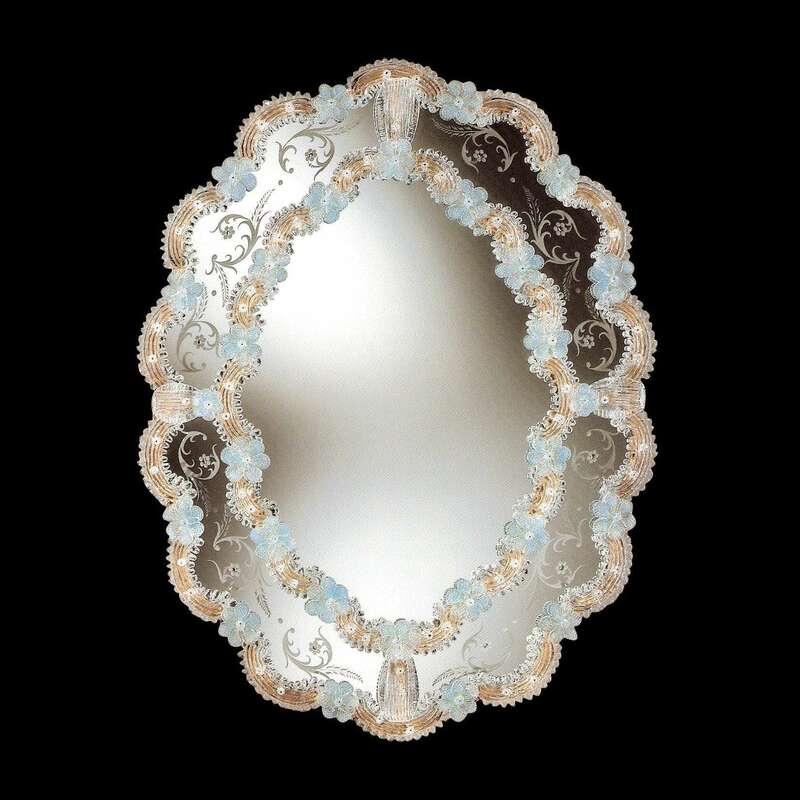 Rich collection of mirrors that in the brio and in the movement of the decorations and workmanship echoes the harmonies and the baroque fantasies of the Vivaldiano ‘700 Venice. Wonderful reproductions of the mastery of the Murano glassmakers who worked in France at the court of “King Sun”. This simple line, but at the same time cured in every detail, is characterized by the elegance and simplicity of the shapes, as well as for the precision of the finishes that recalls the artistic inspiration of the Murano glass masters, always, envied and imitated by the whole world, up to the present day.